Human nature is literally encoded in our DNA. Written into the genome of every one of us is a program to make a human brain, conferring the behavioural tendencies and cognitive capacities that characterise our species. But that program differs between people – genetic variation causes differences in how our brains get wired and resultant variation in our individual natures. This explains why psychological traits are so highly heritable and why we resemble our relatives not just physically but mentally. However, even identical twins are not identical psychologically – genetic destiny has its limits. The genome encodes the biochemical rules regulating the processes of development, but these processes are also prone to chance events at a molecular level, which can have large effects on how the program of brain development actually plays out in any individual embryo. This combination of genetic and developmental variation means we are all born already unique, with innate differences in all aspects of our psychology – from intelligence and personality to sexuality and perception. Kevin Mitchell is an Associate Professor of Genetics and Neuroscience at Trinity College Dublin. 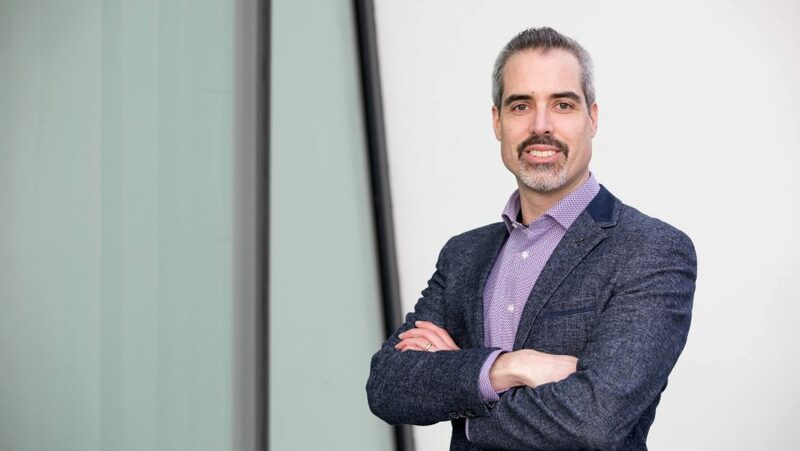 His research is aimed at understanding the genetic program specifying the wiring of the brain and its relevance to variation in human faculties, especially to psychiatric and neurological disease and to perceptual conditions like synaesthesia. He writes the Wiring the Brain blog (www.wiringthebrain.com) and is on Twitter at: @WiringtheBrain. 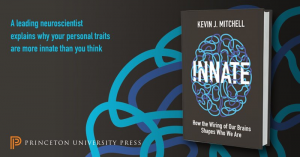 Kevin Mitchell’s new book INNATE – How the Wiring of Our Brains Shapes Who We Are is due out in October 2018, from Princeton University Press.